Summers in Tokyo are full of great things – long days and sunny skies, yukata and fireworks, beach trips and music festivals, barbecues and carefree time spent with friends. The heat and humidity aren’t always pleasant, but that’s why air conditioning was invented! 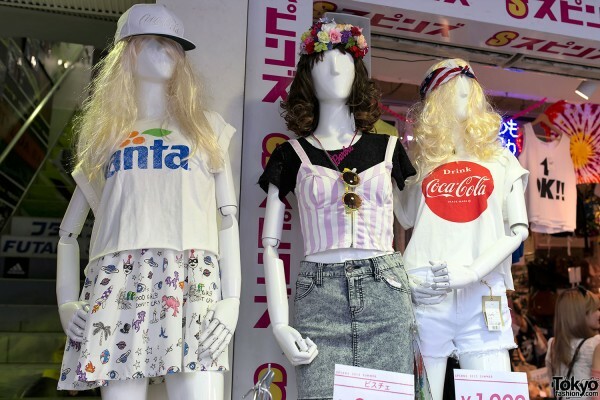 Besides the fun outdoor activities, it’s always exciting to see what summer fashion trends will take hold on the streets of Tokyo. 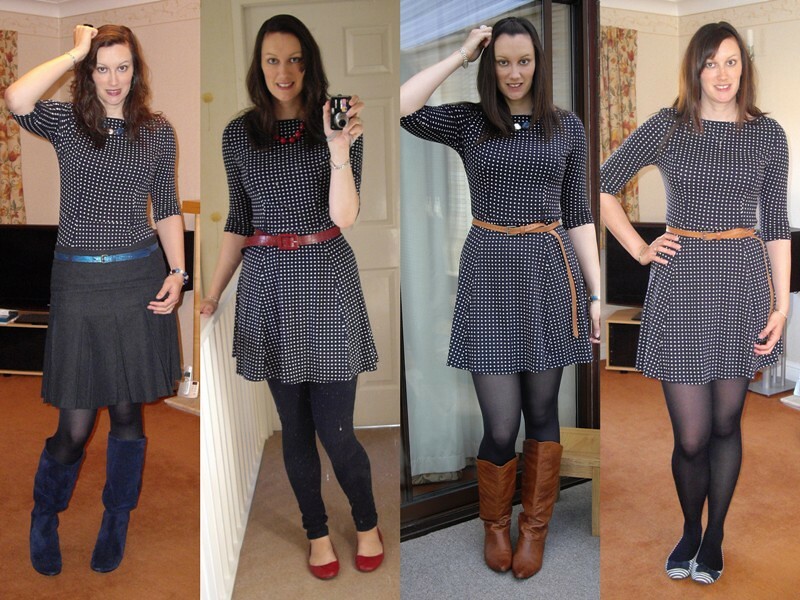 The summer of 2013 has ushered in a number of trends, with one specific piece of clothing grabbing attention above all others! 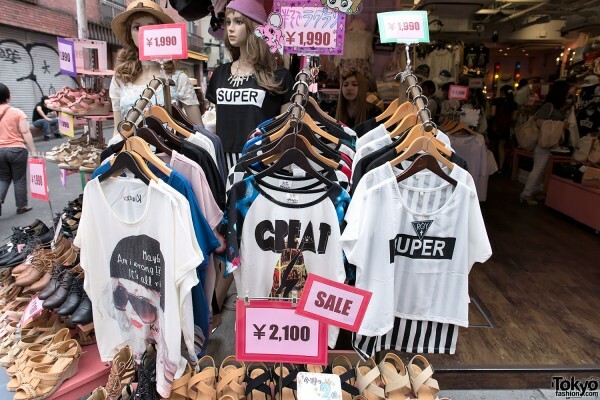 Let’s take a quick look at our list of the top 10 Summer Fashion Trends on the streets of Tokyo for 2013. 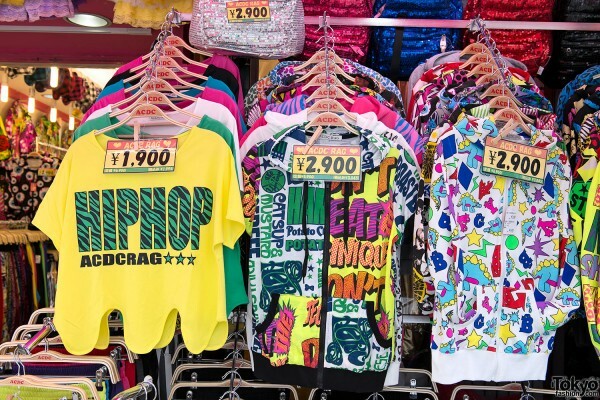 Remember, we are based in Harajuku – so these trends will be heavily influenced by our daily experience on these streets! 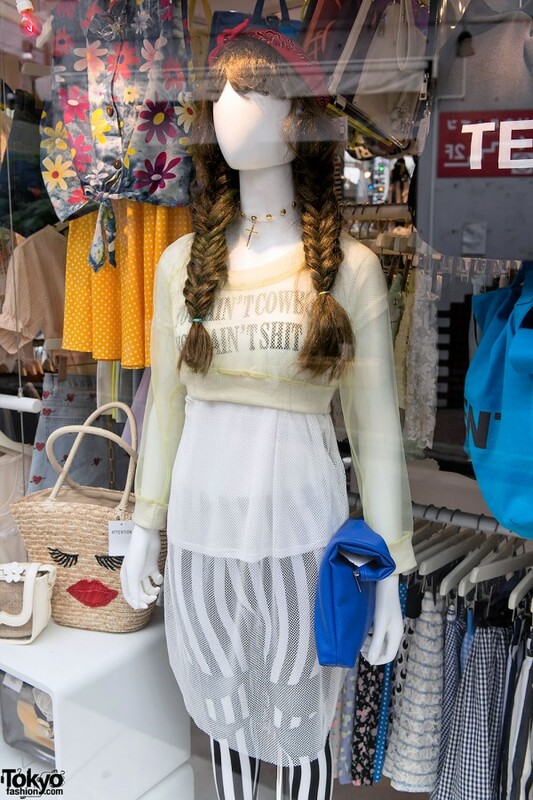 When asking for advice on what to wear on a trip to Tokyo, the answer often went something like, “In Japan you can wear your skirts/shorts as short as you want, but showing midriff is a no-no”. That may have been true once, but not anymore! 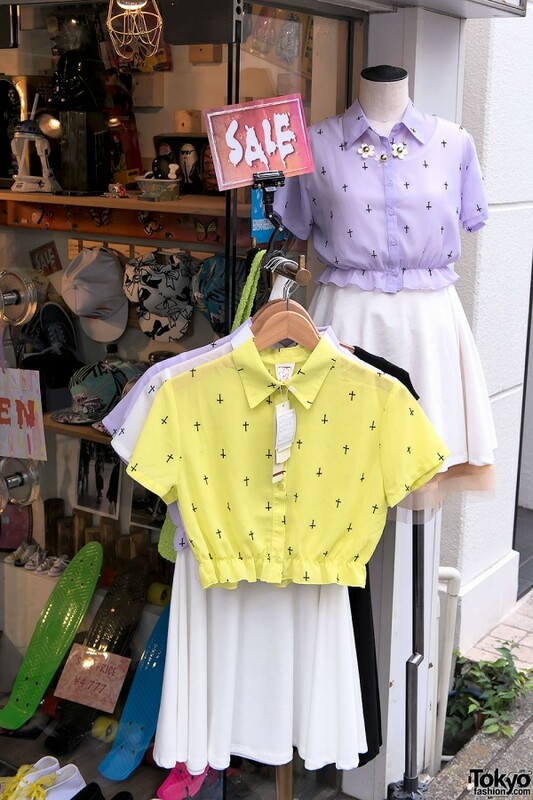 The hottest trend of this summer in Tokyo is – belly buttons! 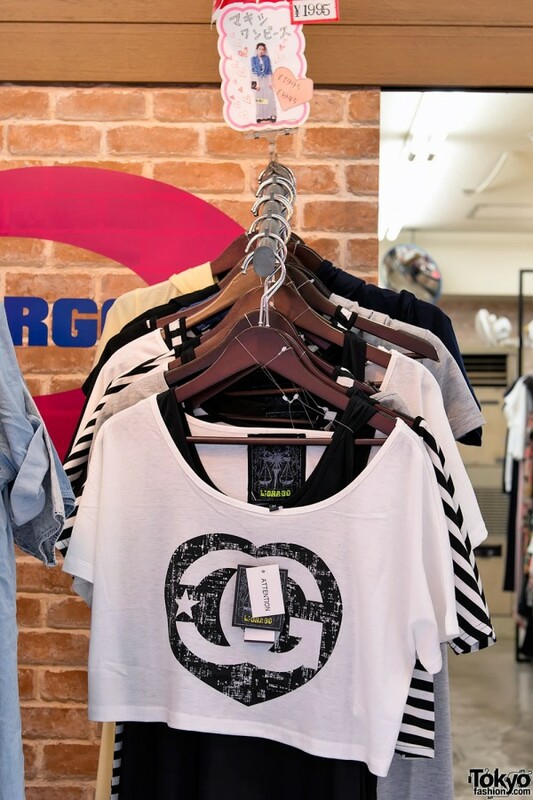 Crop tops are everywhere, and this isn’t just a gyaru thing (although they are definitely on board with this trend). 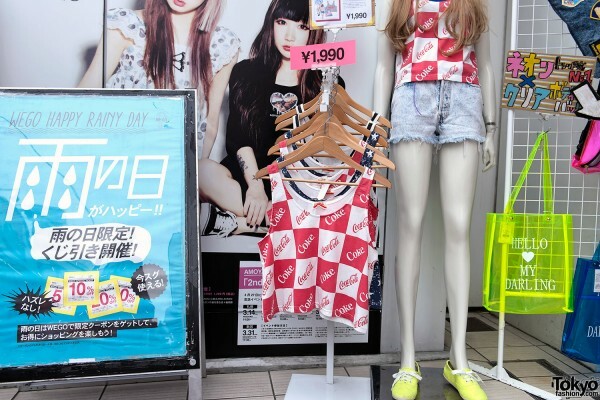 Half shirts are being worn by girls into various Japanese styles. Even Kawaii Ambassador (and Kera Magazine model) Yu Kimura has taken to them. When the kawaii-est of the kawaii are showing their tummies, you know this trend is red-hot. 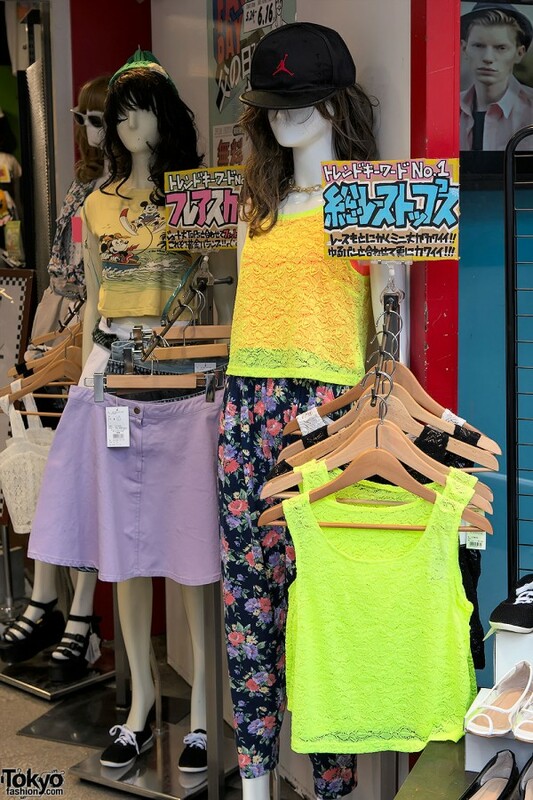 We picked crop tops as our summer 2013 fashion trend in Tokyo not just because of their popularity, but also because the midriff bearing is such a departure from the normal street fashion looks here. 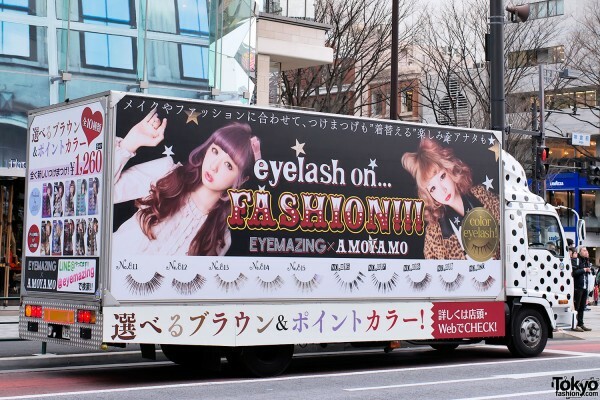 Special shout-out to Juria Nakagawa, who was a full year ahead of the pack on this trend! 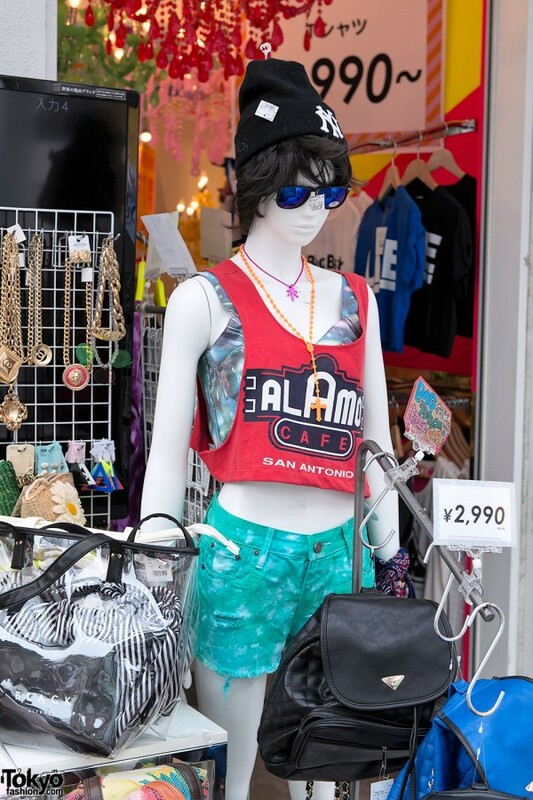 The Japanese shops are calling these “Dolman t-shirts” and Harajuku hamburger queen Ayumi Seto is one of their biggest boosters. You might think of them as “crop tops for the modest”. If you’re feeling the silhouette of a crop top, but don’t want to actually expose your belly button, there are plenty of shops selling various styles of “dolman t-shirts”. Unlike traditional dolman sleeves, these are wide at the armpit but do not narrow at the end. In fact, the sleeves on these tees are often rolled up. 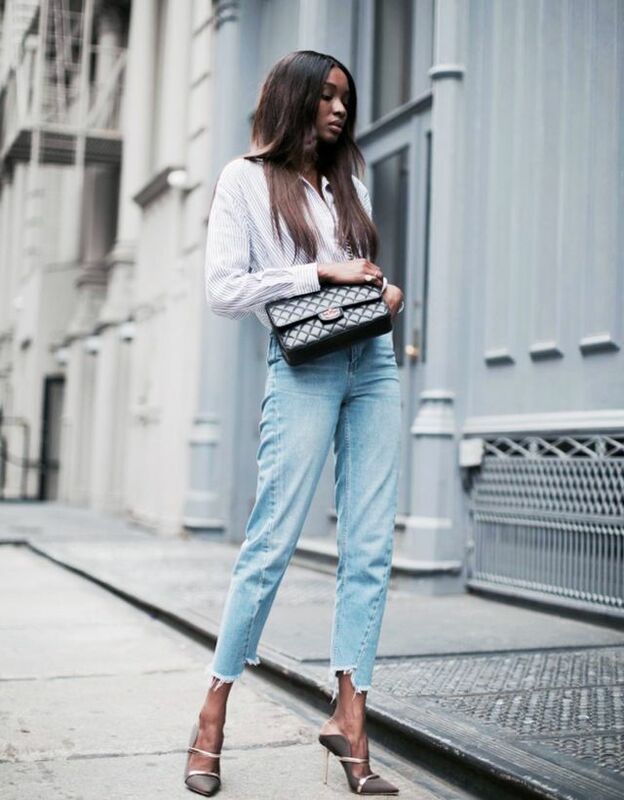 The tops themselves are cut wide and short (but not too short) – giving the illusion of a crop top, without showing more than a hint of skin, if that. Sheer tops – generally black, often decorated in lace – are everywhere this summer. These are usually worn layered with another item on top of them (a bustier perhaps) or beneath them (maybe a tube top). We’re also seeing a few of these lace tops with cut-out shoulders. This isn’t really that new, but it’s much easier to see high-waisted bottoms when your top stops at your rib cage. 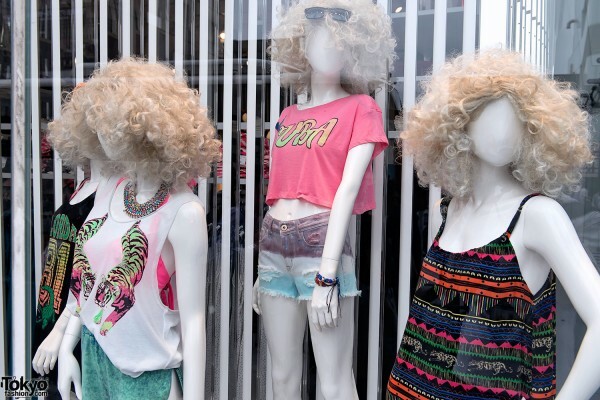 High-waist skirts, cutoff shorts, and pants are all over the streets. 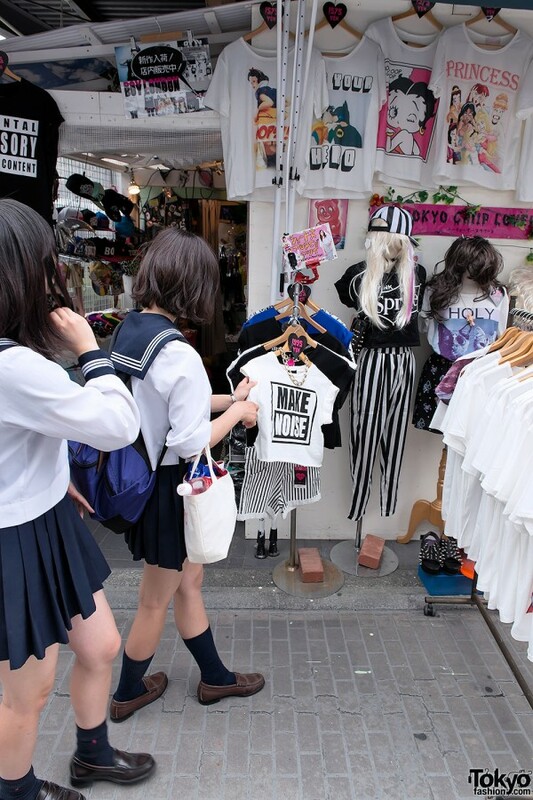 On the boys side, Devil – the male style icon of the newest Harajuku generation – is often seen in high-waist pants. 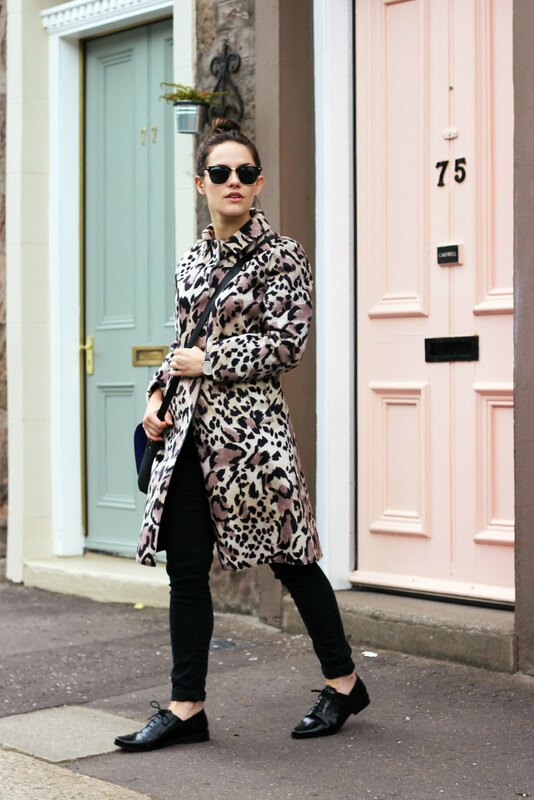 These shoes first came on our radar last winter. 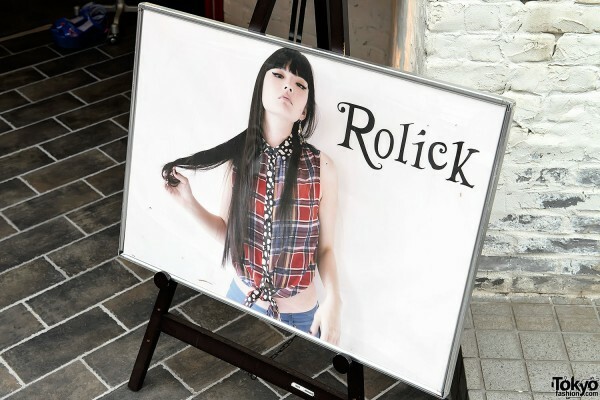 By the arrival of Tokyo Girls Collection Spring 2013, it was clear that a full-on trend was building. Fast forward to summer and everyone is wearing them! The selling point is that they look like a Supra hightop skate shoe, yet inside is a wedge that gives you an extra few centimeters of height. So you get all of the coolness of skate shoe with all of the pain of a high heel! Hurray! 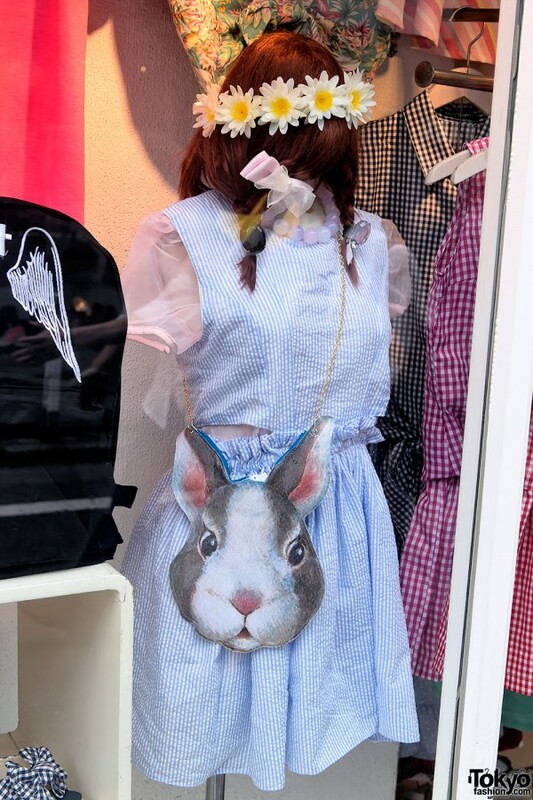 Designer clutches have been hip with Harajuku’s fashion forward crowd for a long time. 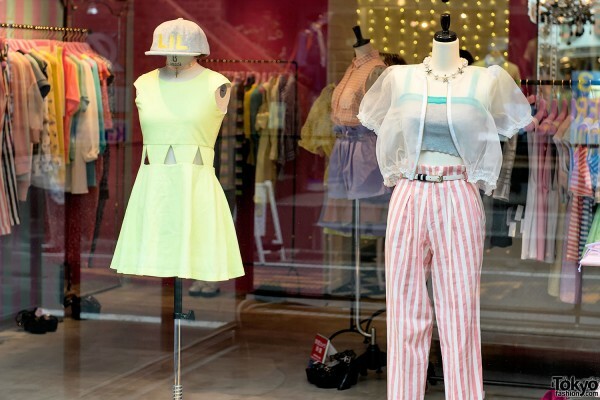 In the spring, lower-priced versions from Spinns and other youth-focused stores boomed with the younger kids. 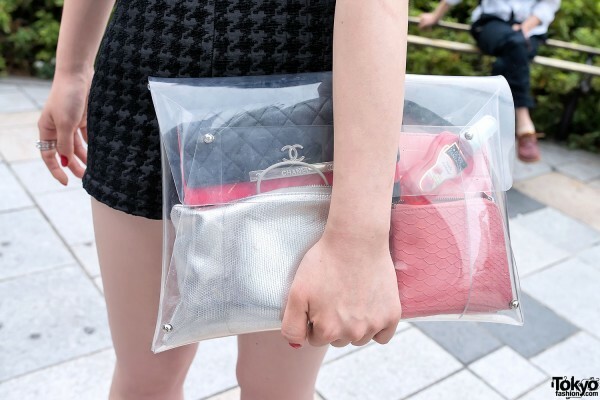 As of mid-summer, people are still carrying clutches (many of them clear). We’re not quite sure whether this is the tail end of the trend or is clutches are here to stay. Sorry Tumblr, dip dye couldn’t last forever. While Harajuku will always have more than its share of pink hair, late spring and summer have seen a reaction against the extreme rainbow hairstyle of last year. A sizable percentage of the coolest kids on the streets of Tokyo right now have died their hair to black or blonde/silver – or at least toned down the colors. Not a huge trend, but we’ve seen quite a bit of tie dye this summer. 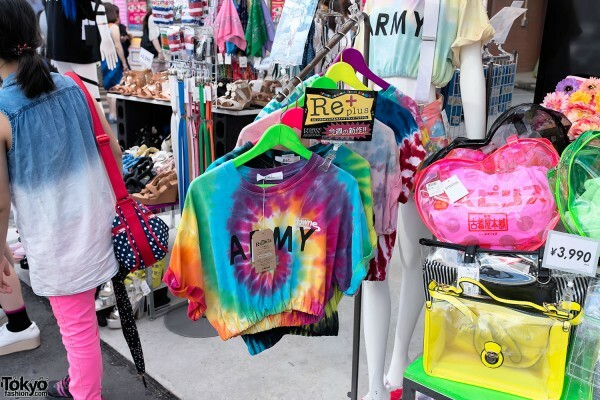 This is not hippie tie dye – it’s hip Japanese fashionistas wearing it on tops, skirts, shorts, etc. 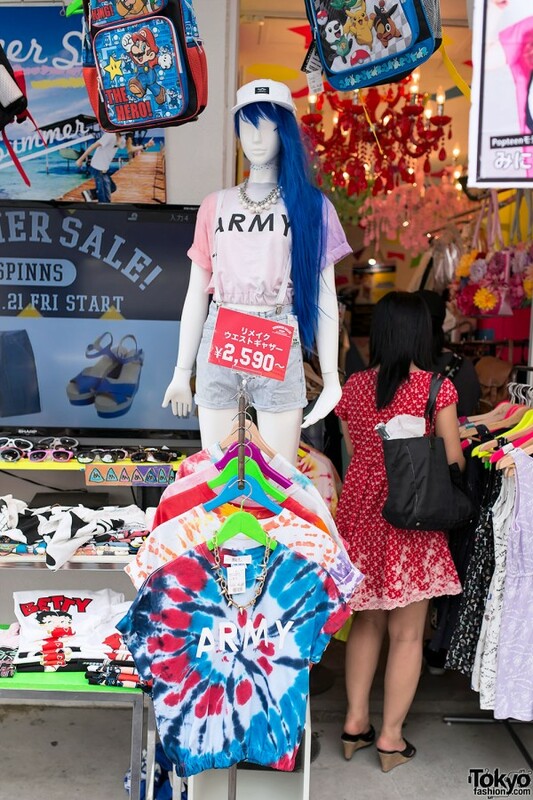 Even the hot gyaru-esque brand Fig & Viper has taken up the tie dye cause. 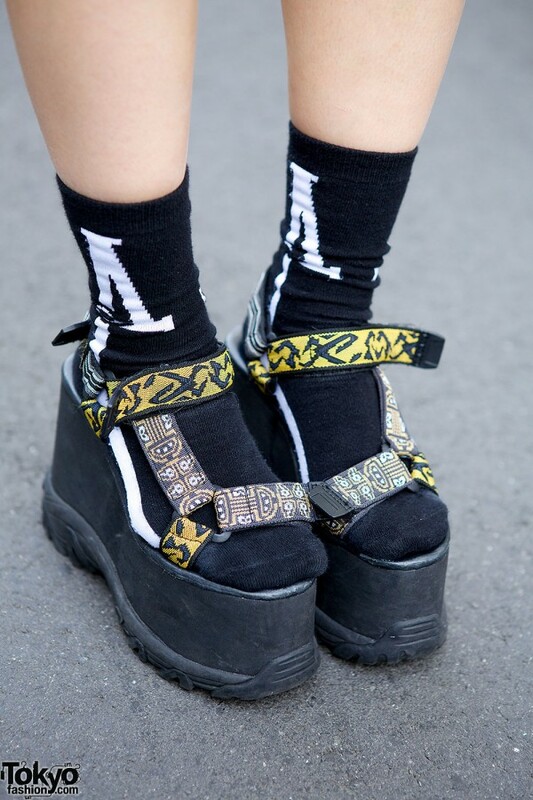 Platform sandals are big right now – though we’re not sure if we should call this a 2013 trend or just summer fashion. There are a few specific models/looks of platform sandals that we’re seeing more of this year than before – including the K3 sandals above and platform sandals with transparent uppers. 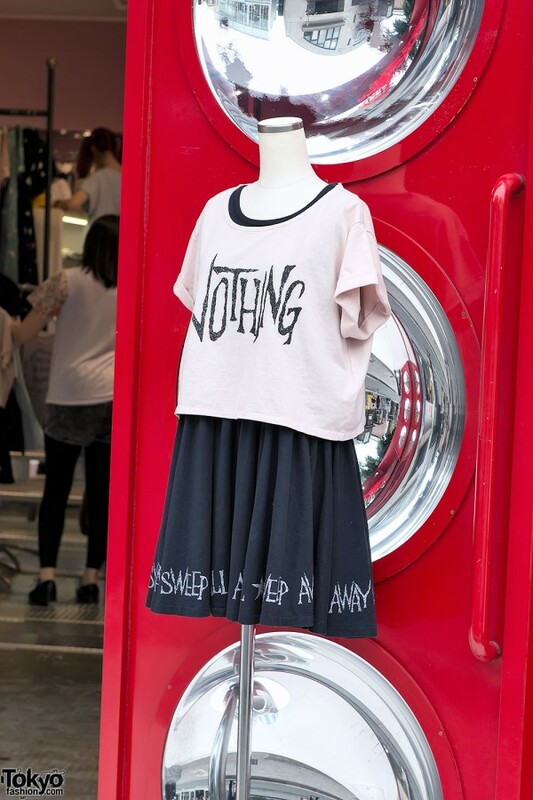 This was a huge trend in the spring (see our Tokyo Girls Collection snaps), but we think it’s mostly over. We’re still seeing quite a bit of it on the streets. Whether it’s residual from spring or something more lasting, only time will tell. 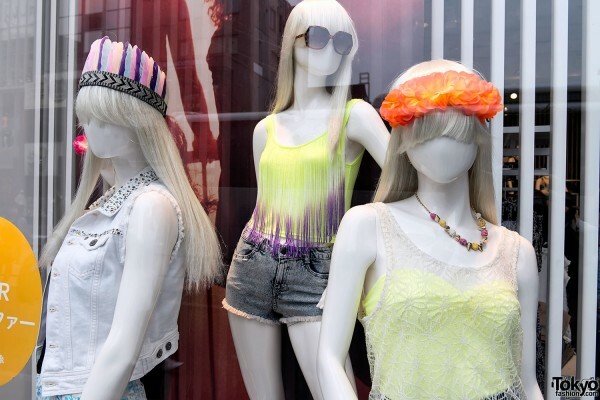 Those are our top ten summer 2013 fashion trends for Tokyo. In addition to the main trends, there are a few that didn’t quite make the list. Let’s take a look at the maybe-a-trend list! 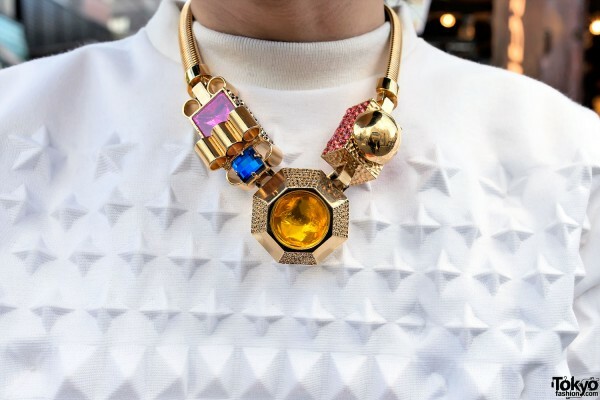 Like clutches, statement necklaces have always had a place at the higher end of Harajuku fashion. And like clutches, they were a popular spring 2013 trend. We still see them pretty much every day, but we think this trend is in retreat. We don’t expect them to disappear completely, but as a mass item their days may be numbered. Blame Jeremy Scott! 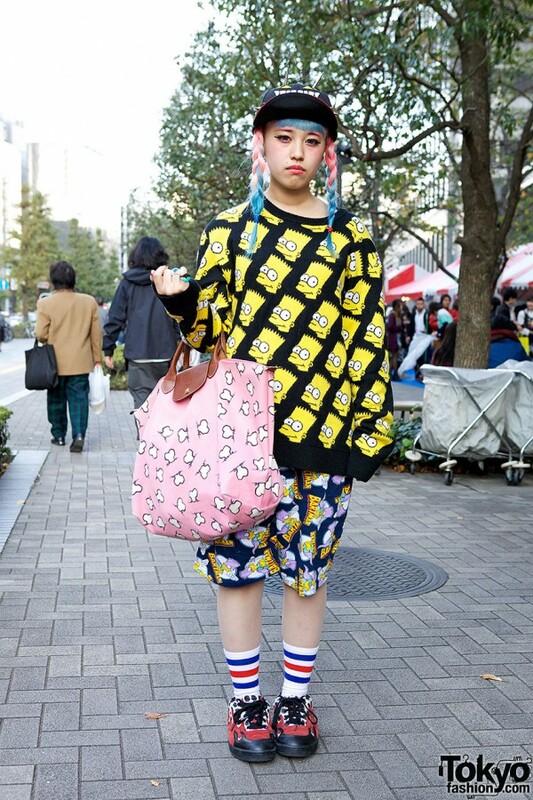 The Harajuku Simpsons boom began sometime last year, but we are still seeing Bart and his friends everywhere. Disney is always popular. Toy Story characters are more ubiquitous in Harajuku these days than Tim Burton’s “Nightmare” (quite an accomplishment). Batman and other superhero logos have been popular for a while. 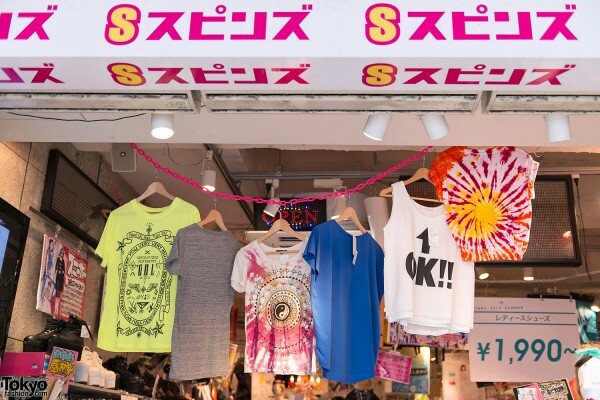 Spinns Harajuku imports cartoon print items by the kilogram – and if there’s anyone who knows trends, it’s Spinns! We’re seeing a lot of variations of cat eye makeup on the streets. It’s not new, so not sure if we can call it a trend or whether it’s something that’s going to stick around as just another makeup option. Not sure if we should call this a trend or a subculture, but it’s a youthful Harajuku-specific look. We saw quite a bit of it in the spring and it’s still going strong into summer. 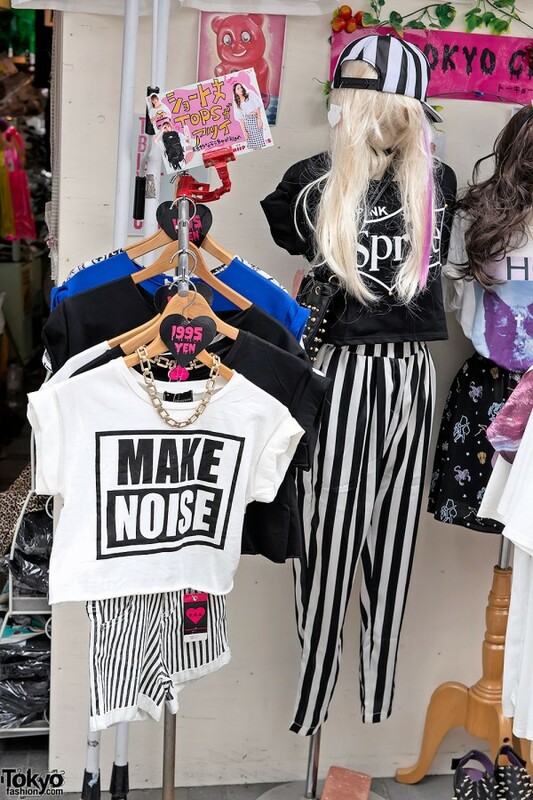 Certain girls, usually fans of the Harajuku resale shop Kinji, are wearing cute-print pajama pants. The pants are often rolled up. The pajama pant silhouette has actually taken off a bit with some of the cooler girls in addition to being popular with a younger crowd. 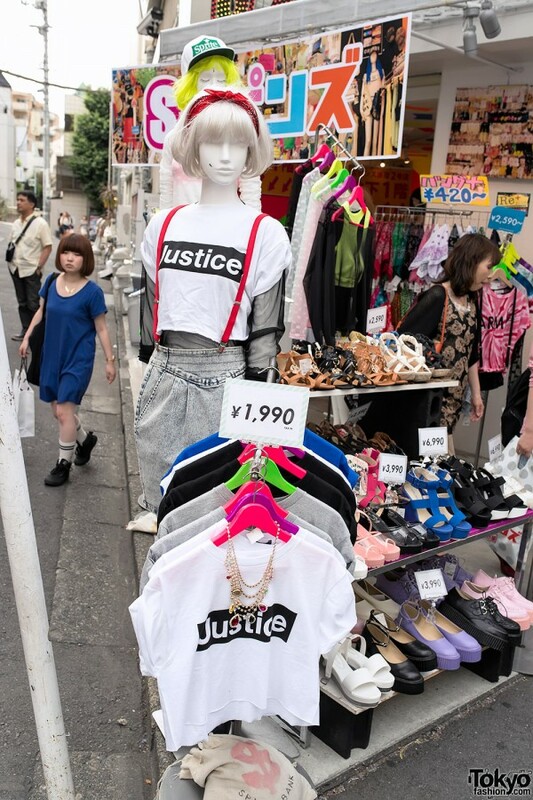 Outside of Japan, Kyary is the undisputed icon of Harajuku. 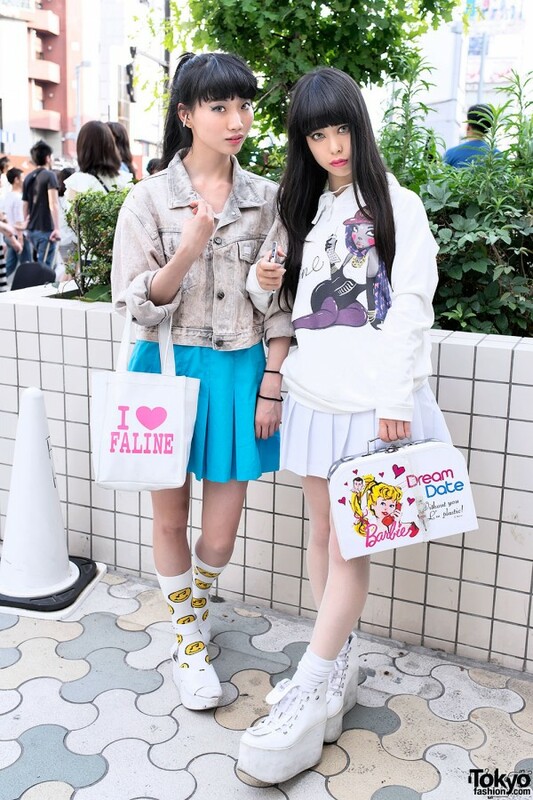 But on the actual streets of Harajuku, we talk to lots of young Japanese girls who aspire to the kawaii-rock styles of Zipper models Amo and Ayamo. 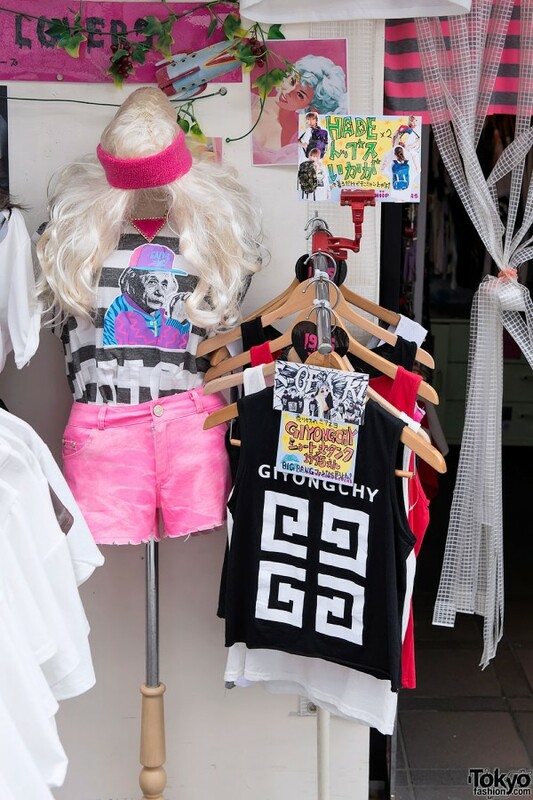 WEGO Harajuku and the famous Cat Street brand Candy Stripper have each released highly sought after (and quickly sold out) Amoyamo fashion collaborations, and the girls faces peer out from magazines, advertisements, and billboards all over town. 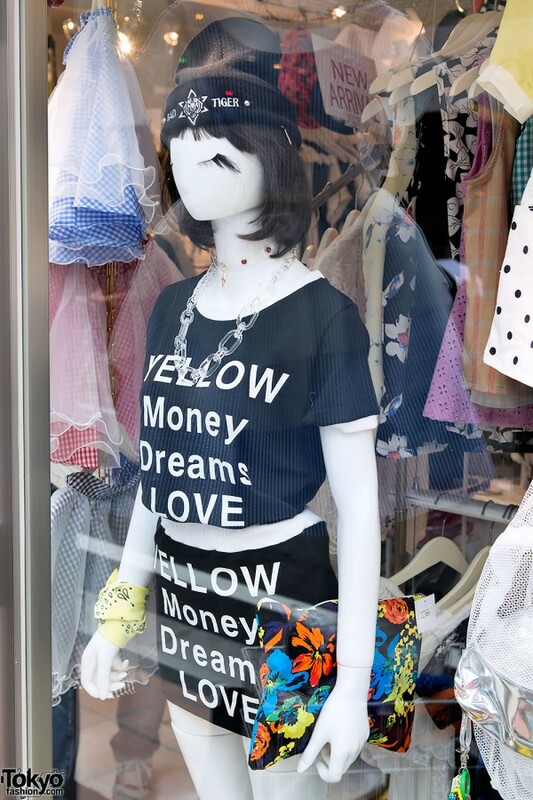 You’d be hard pressed to spend a day in Harajuku this summer without seeing Amoyamo’s influence on current street style. [New!] We’ve been seeing an increasing number of leather harnesses and leather garters (usually spiked) in Harajuku as summer goes on. The harnesses are being worn by boys and girls. The garters are a girls-only item. 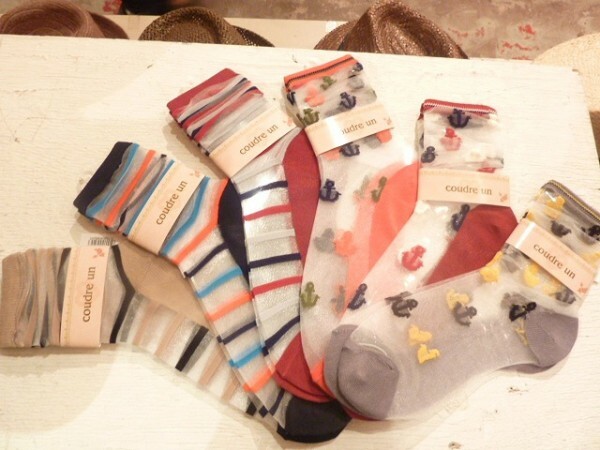 They are often purchased at Tokyo’s most trendy legwear boutique AvantGarde Harajuku, but several other shops are carrying them now as well. We aren’t sure where this trend started, but it’s certainly been around Tumblr (hello Creepyyeha) for a while. 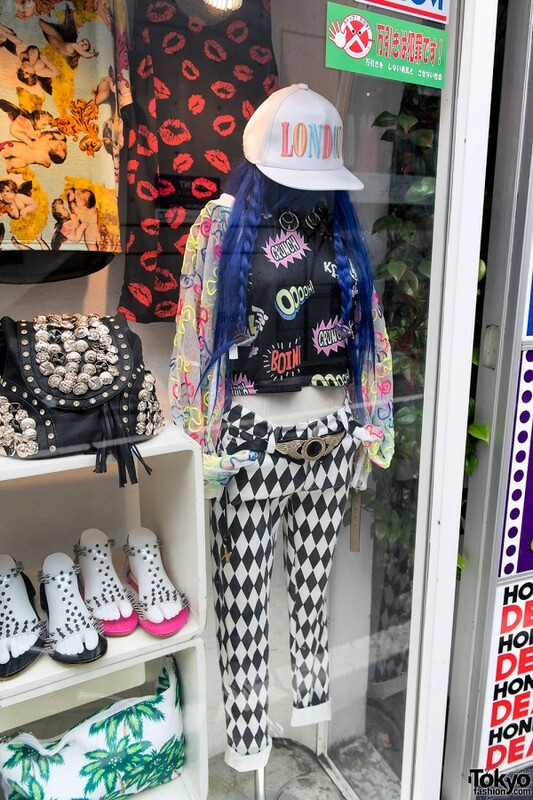 Once again, Juria Nakagawa was way ahead of the Harajuku pack in adopting these edgy accessories! That’s the end of our trend list for Summer 2013. 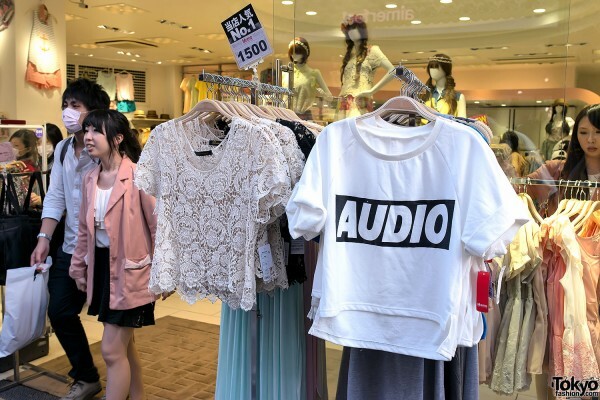 Fashion changes very quickly in Tokyo, and it can be difficult to decide what’s a confirmed trend versus what might already be in decline, what’s growing, and what we should ignore altogether. 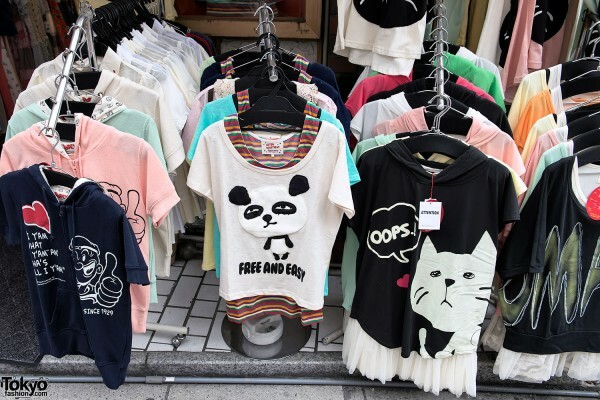 Hopefully, this list will give you a bit of quick insight into what’s hot on the streets of Japan at this moment in time. If you’ve noticed any trends that we missed, or you disagree with any of our trends, feel free to let us know in the comments! 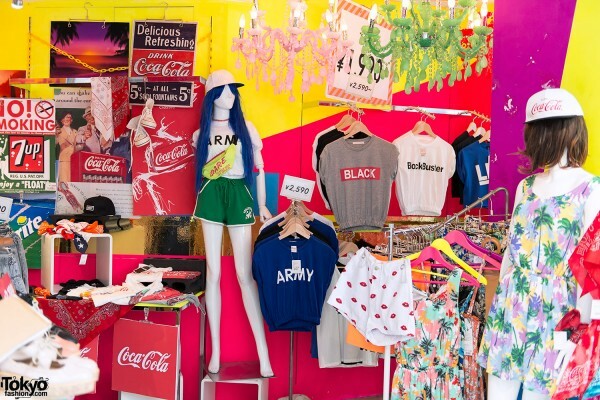 Here are some bonus pictures of trendy Harajuku shops to show you what’s hot on the racks this summer. Enjoy!